You must make reservations at least 5 minutes in advance of the time at La Medusa. There is ample parking in front of La Medusa, as well as on the side streets of 37th, Edmunds, and Ferdinand. Its rarely more than a 3 minute walk away. Metro Bus line #7 and #9 stop 1/2 block north of La Medusa and run every 30 minutes daily. Join us for our upcoming winemaker dinner hosting Giorgio Rivetti of La Spinetta Wines. Giorgio will be joining us from the Piedmont region of Italy where his family has made exceptional wines from nebbiolo vineyards since the 1970's. Monday, February 20th from 6pm-9pm. $90 per person includes 4-courses and wine. Please call the restaurant at 206-723-2192 to reserve your seats. Seating will be limited to 30 guests. We create succulent Sicilian-inspired dishes using local organic ingredients and the finest quality imports from Sicily. Our menus change often to reflect seasonality in the Northwest and the Sicilian tradition. Diners enjoy the freshest meats, seafood, organic produce, local artwork and outstanding service in the comfort of our warmly lit restaurant. Our mission is to combine these specialties to impart our guests with pleasure, satisfaction and well-being. Very good, authentic food, great atmosphere. The downside is limited parking close by (for those with disabilities), and if you are not right in front of the menu board, it's hard to see. All in all a good experience. Food was okay but not much choice. Service was very slow and the place was crowded and noisy. Excellent menu, ambience and service. Highly recommend this gem of Columbia City. Donna is the best! Food is always excellent and the small friendly atmosphere is too. Fantastic food, atmosphere, and service. A great spot to catch-up with friends or an intimate dinner. This was truly outstanding Italian food. Fresh pasta, incredibly well-made. We love Italian food and this was top notch. Yet in an informal, comfortable atmosphere. Highly recommended. All around great service and great food! Just wonderful! Great staff, great food and wine. We do highly recommend. The bistro- like ambience and quiet bustling of the staff in a warm cozy environment feels very authentic. Unusual, unexpected items on the menu and super fresh, garden grown (by the owner) ingredients bring great flavors to the dishes. The best kind of neighborhood Italian joint. (Wish it was in my own neighborhood). Great service, good food, limited menu, a bit on the noisy side. Delightful neighborhood Sicilian restaurant with well-prepared food. The only thing that I dislike is that the menu is on a chalkboard and I have poor vision. I'd recommend this place to anyone. Cozy atmosphere, friendly staff, wonderful dinners. Couldn’t have asked for more! Had been wanting to try this restaurant for some time. I’m Sicilian so my standards are high. Hubby got the pasta Sarde, he loved it, but you better like a fish flavor for this. I enjoyed Rigatoni with Lamb shank sauce and cabbage: Awesome. The Arancini was delicious and authentic. Desserts were great. Before we left we already picked out what we wanted to order at our next visit. 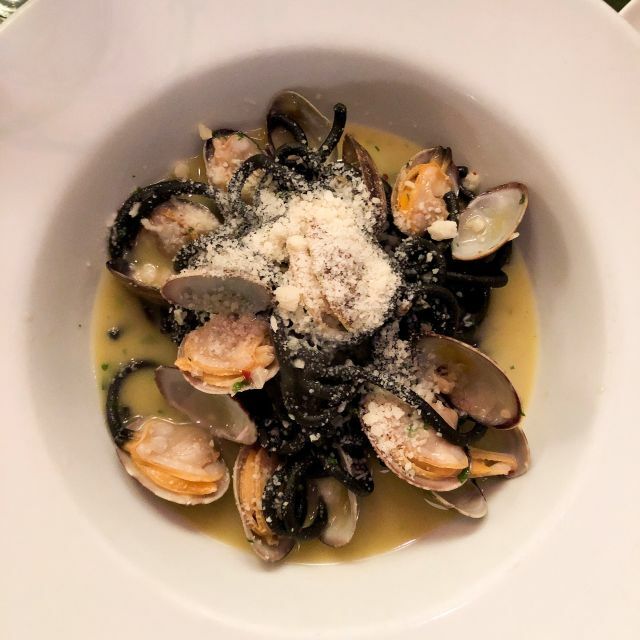 If you like real Italian American food with a fresh Mediterranean vibe to it than you will love La Medusa. It’s not cheap ($25-$40 entrees) but it certainly won’t disappoint. It’s a special occasion kind of place and its hugely popular for a reason. You’ll thank yourself for making reservations. Great seafood, steak and spaghetti and meatballs. The braised pork was to die for. Service attentive without overdoing it. Wonderful and consistent kitchen preparation at the highest levels. We got seated late even with our reservation, but the food was amazing. We loved the ambience and the food was superb. A real hats-off to our waiter who skillfully guided us to the perfect selections to suit our tastes. Thank you for a wonderful evening. I'd be very impressed if taken here on a date- Very high quality food prepared to perfection. The server was very good- though a but busy maybe. Courses we delivered in perfect time but it did take a while to get a second glass of wine. The best way to eat here, in my opinion, is share an app, a pasta. and a main. We had beet salad, squid ink pasta, and pork belly. It was all amazing and well portioned - not huge, we did not leave feeling sick. The chef is obviously very talented. Very good bread though from the local bakery 5 doors down. Fancy wine list, not for beginners. Pricey place- good for a special occasion- we went for my Birthday. $150 - 4 glasses of wine. Celebrated cousin visiting & as always an outstanding experience! Fun menu options to select from. Server (Male) was absent minded and not attentive to tables. Forgot to bring wine and other patrons were hand signaling for help. Other staff members were quick to assist when called upon for service items. Wonderful authentic Italian cuisine with a ever changing menu that uses the freshest ingredients of the season/day. Must make reservations as it’s a very small space with only a dozen or so tables, which adds to the ambiance. Took my father who has traveled Italy extensively and he said its just like the small cafes all over Italy. Will definitely be going back. Most of the food was too salty. The scallops were the only thing we liked. La Medusa's a fantastic neighborhood restaurant. 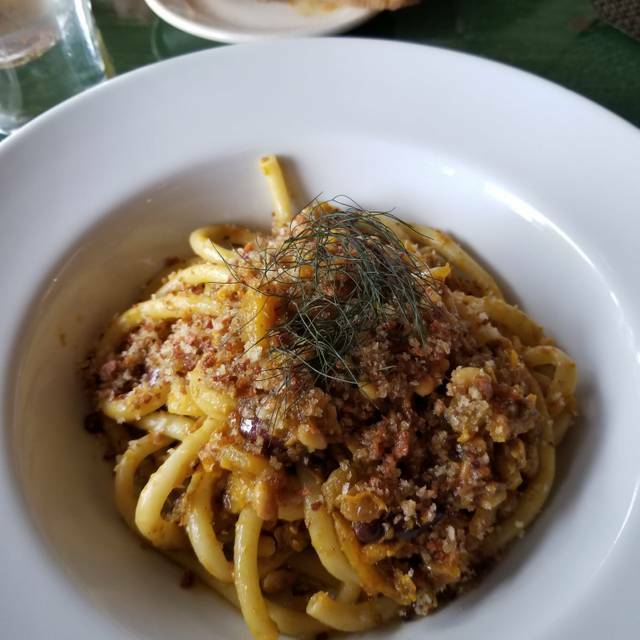 I live in CT but visit Seattle often; I make a point to dine there because the cuisine's focused but wide-ranging; the wine list is superb and affordable; the ambience is friendly and comfortable; and the service is impeccable. Loved it, first time here & I’ll be back next time I’m in Columbia City. Excellent service & food. I have been to Medusa 4 our 5 times over the years. The menu is always a bit challenging, but ususally satisfying with good service. We had a 7:15 New Years seating. It was full and clearly staffed by the B team. Not sure we will go back. Pasta was underdone and unflavorful. The high note was the Brussels sprouts. But otherwise a disappointing meal. It feels that they are coasting on reputation and lack of higher end competition in Columbia City. Overall the flavors were boring and not worth the cost. 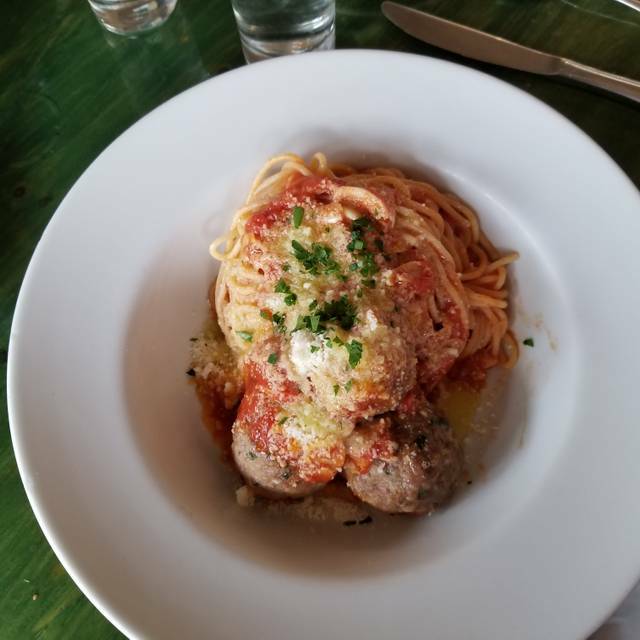 For $30, plate of spaghetti and meatballs should be spectacular. It wasn’t. Great food, very good staff, service was great. Love the changing menu. Service is relaxed, yet attentive. Food is good to delicious. Pasta has always been cooked to perfection. The bacalao fritters were just right - light and fluffy - but could have used a little more cod. Pastas and salads were very well prepared. Pasta at $24 a plate? Must be a Seattle thing. Way too loud for pleasurable conversation. Cozy, small room. May be best very early mid-week. Ask for a table for two behind the entrance divider if you want to be able to hear yourself think. Waited 45min to get seated for our reservation. Forgot one of our drinks while waiting for our table. Food items were mostly sold out before we were able to order. 30min wait for our food to arrive. Pasta was under cooked and very bland. Overall very disappointing. This is my fourth time at this restaurant. Last time we ate there it was not very good as well. This experience was bad in every aspect. Would never go back. In years past use to be great.